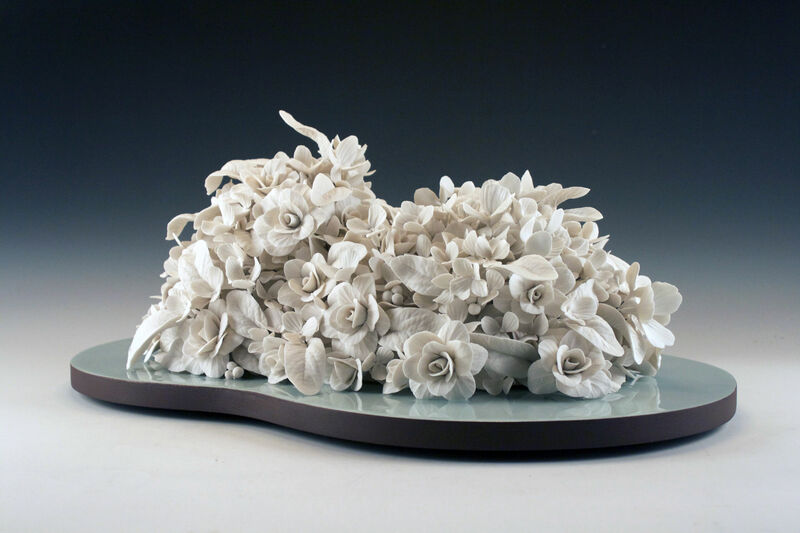 Rain Harris uses her artistry with material to create a conversation between good taste, beauty, and tawdriness. 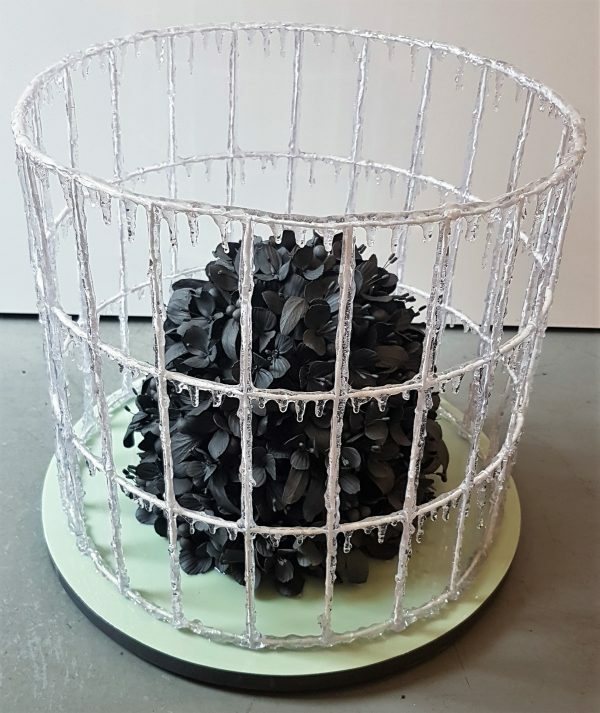 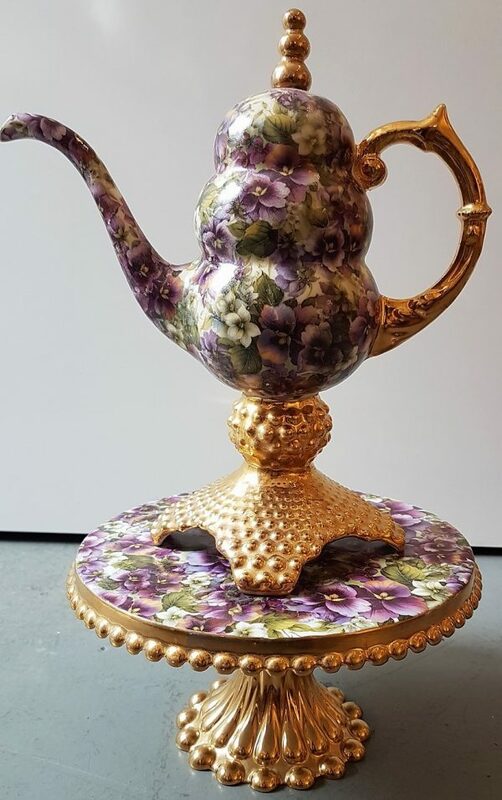 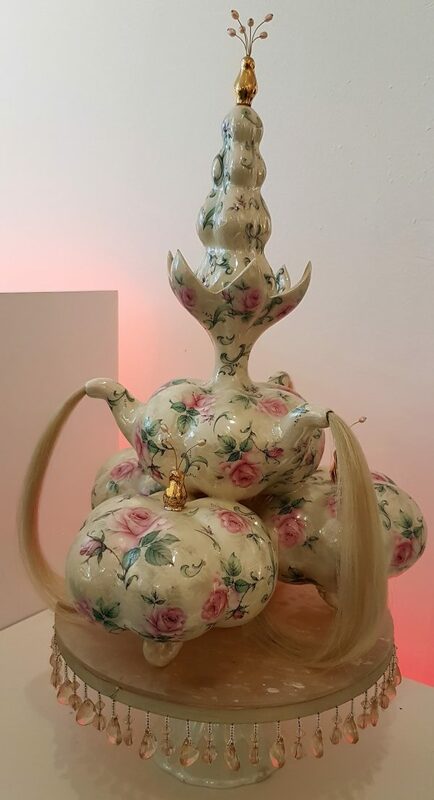 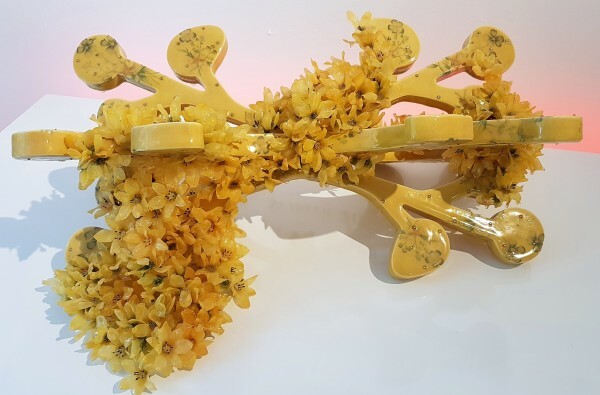 By developing a piece with unrefined materials and bringing it to the point of refinement, she is creating art that asks where good and bad taste meet. 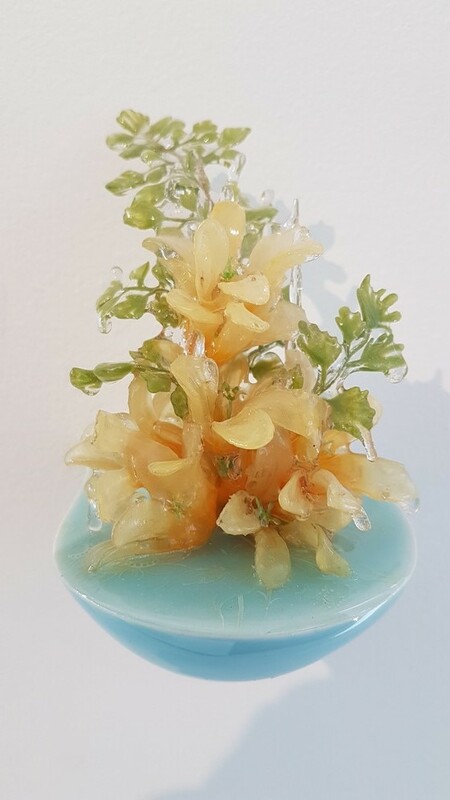 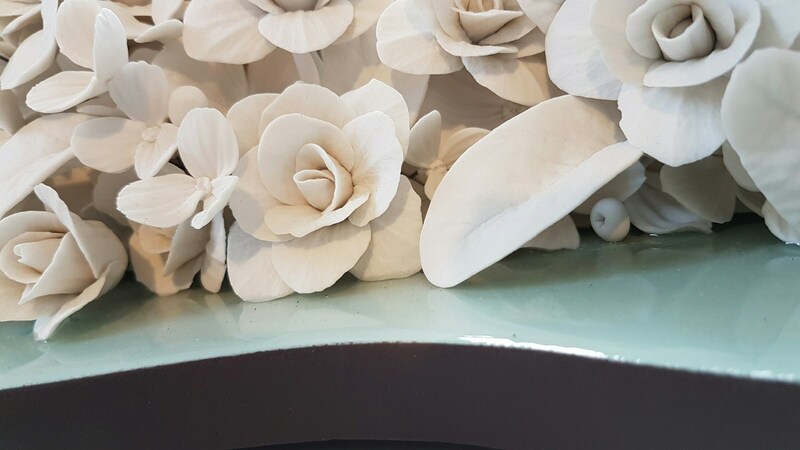 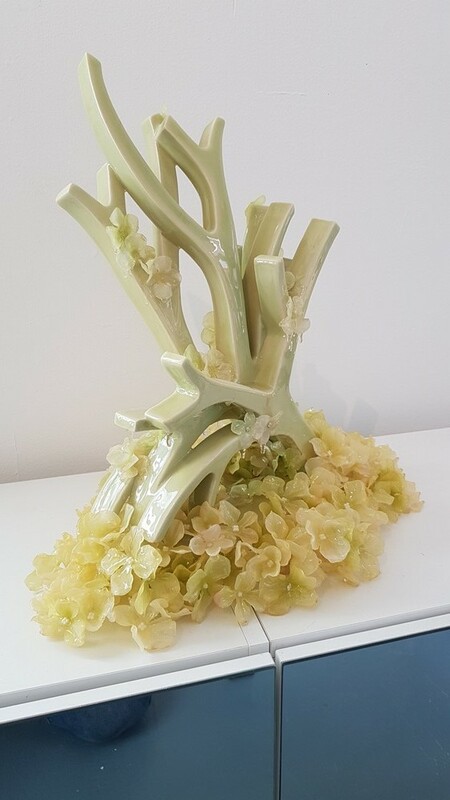 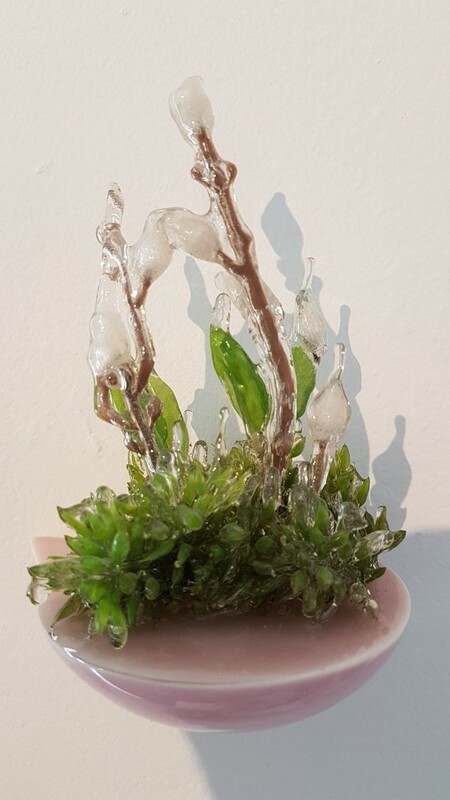 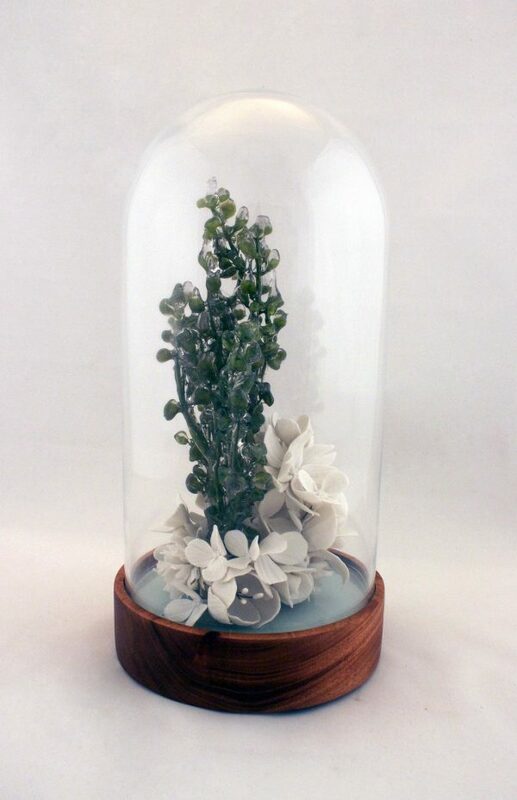 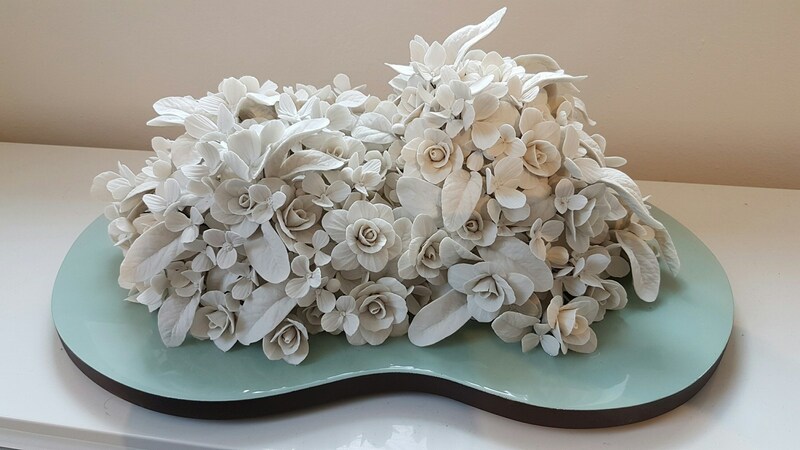 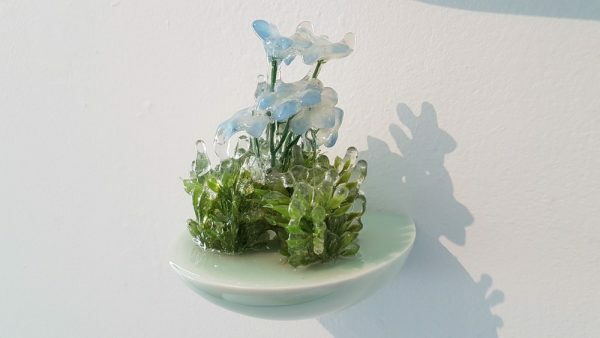 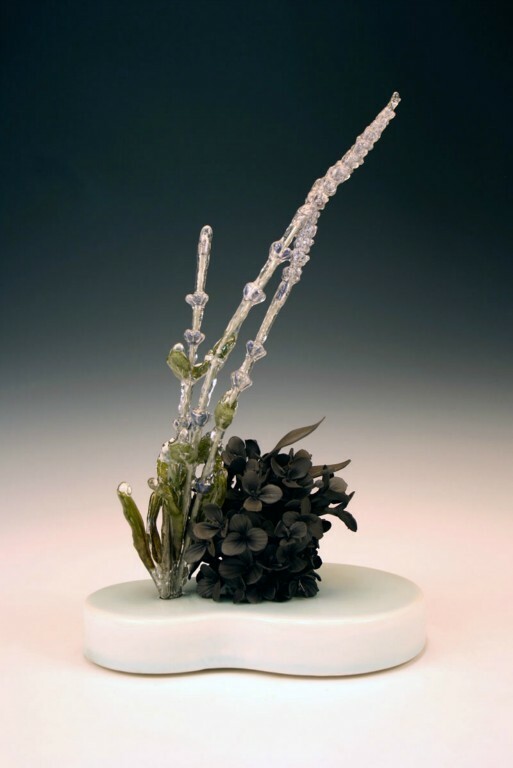 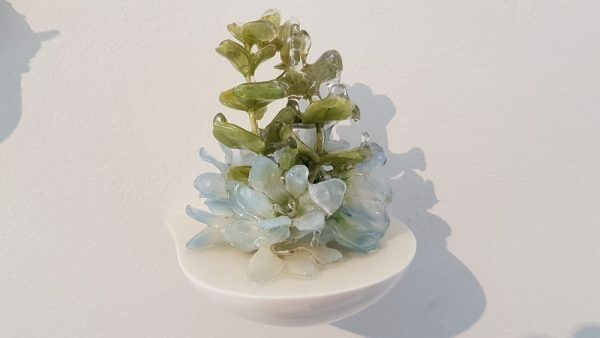 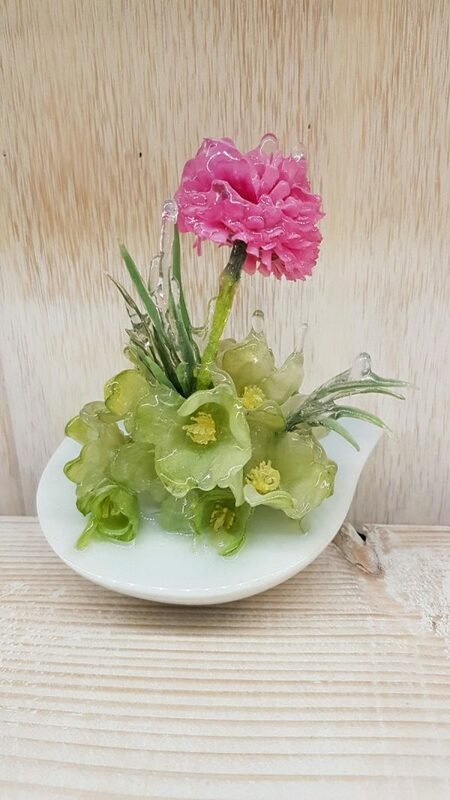 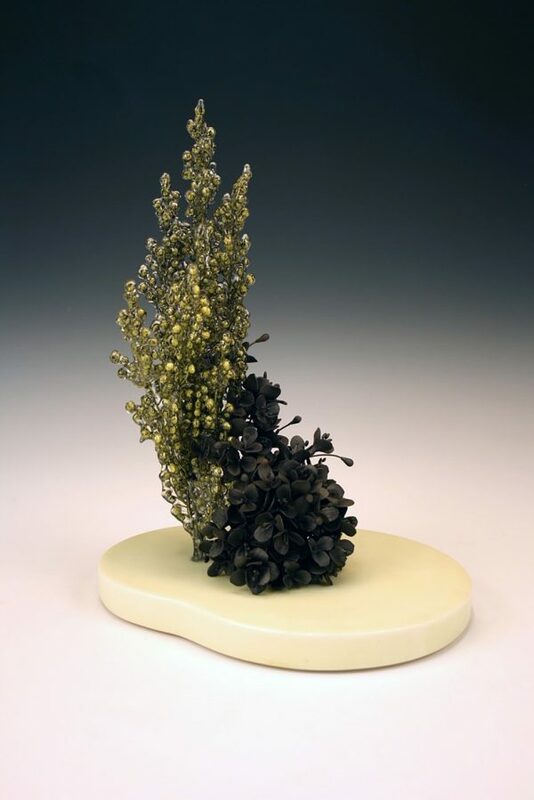 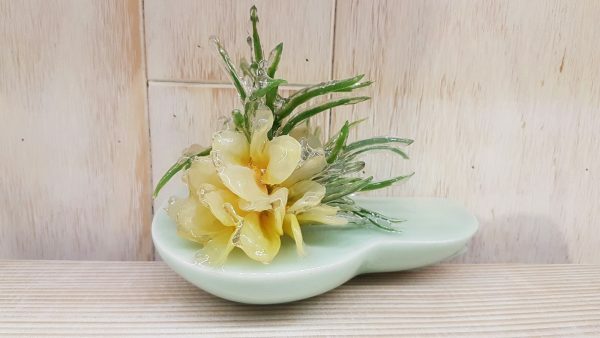 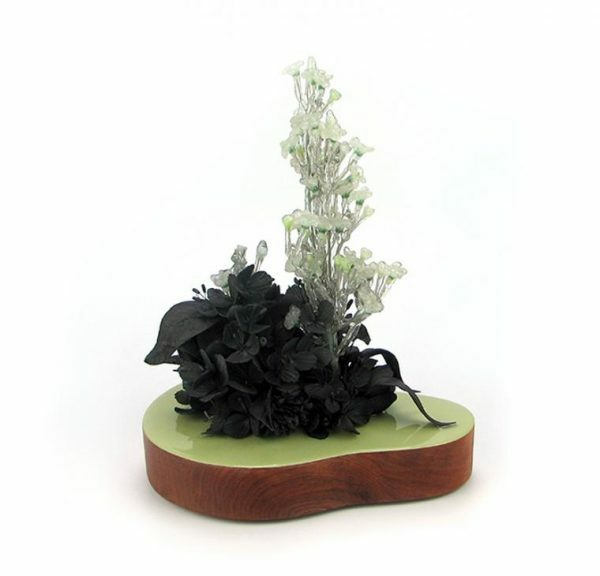 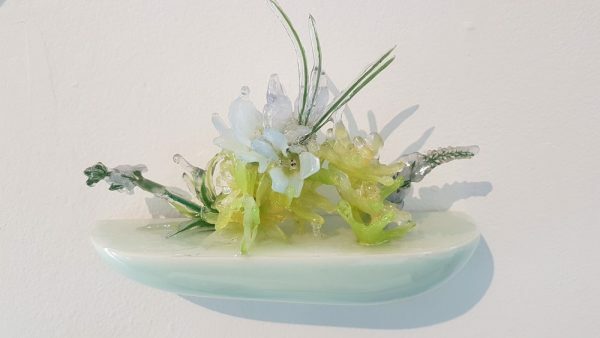 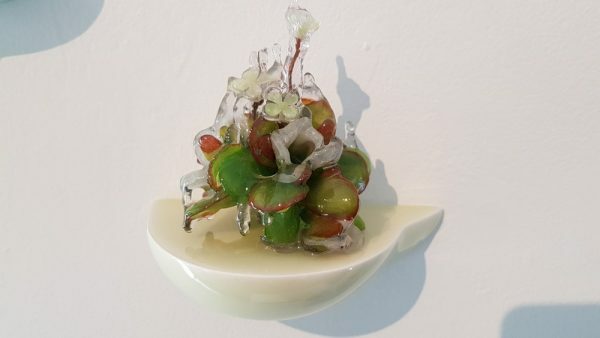 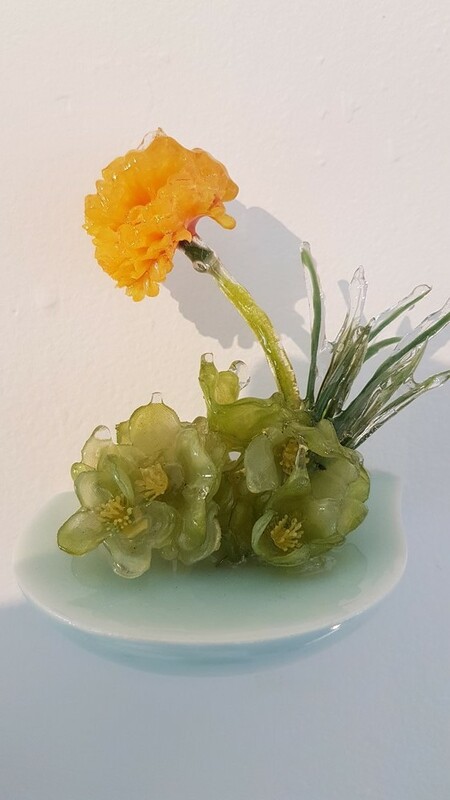 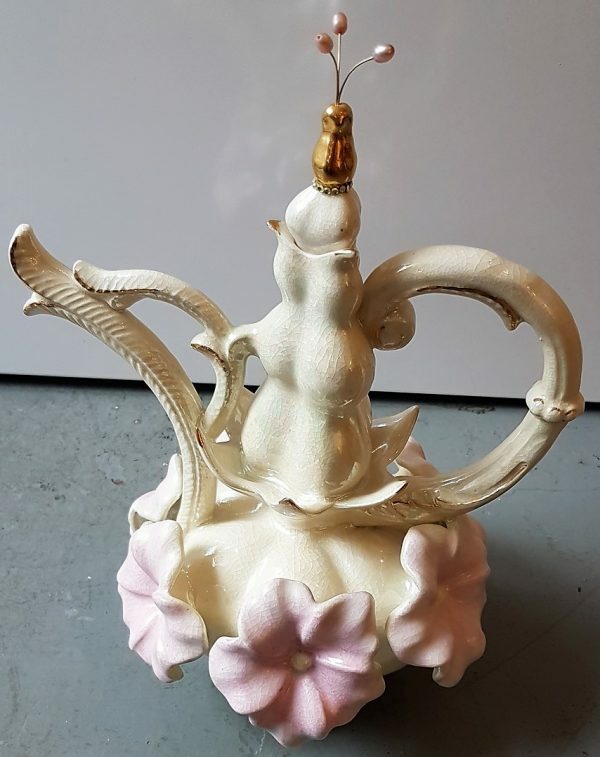 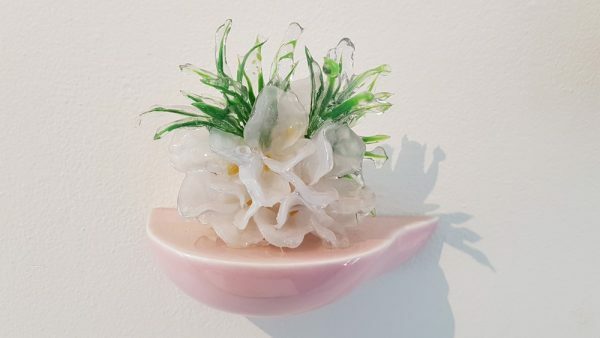 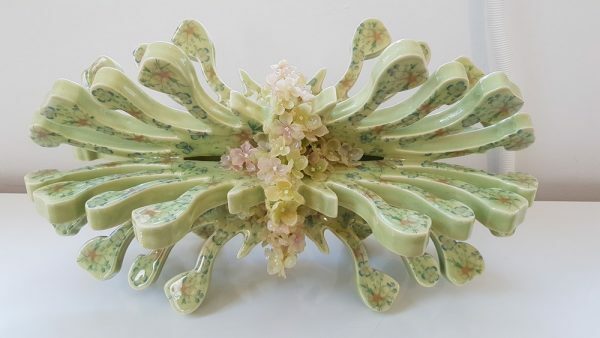 This contemporary ceramic piece features a delicate array of porcelain flowers, berries, and leaves mounted on an organically shaped wooden plinth. 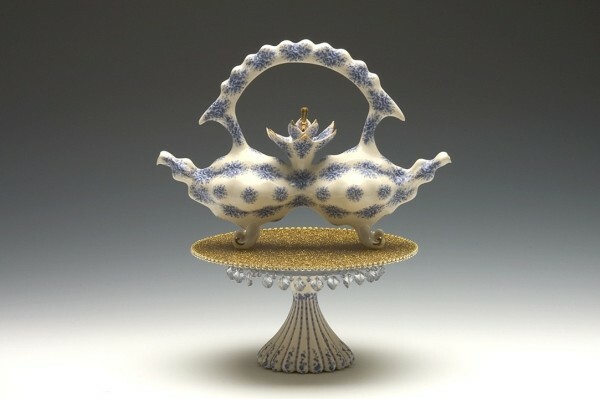 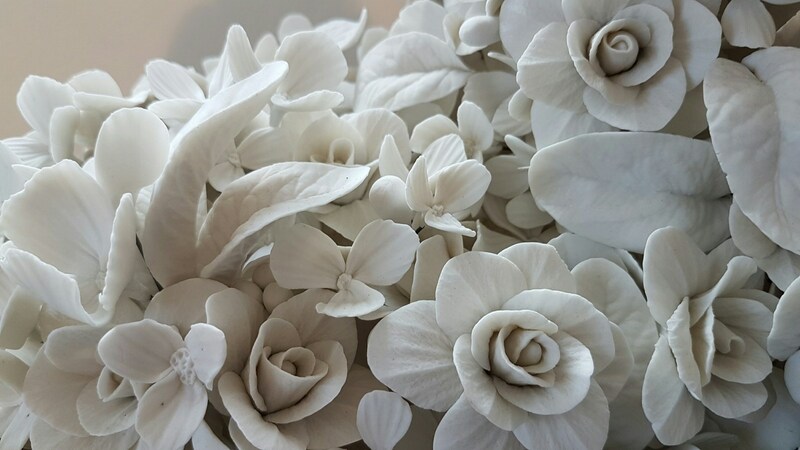 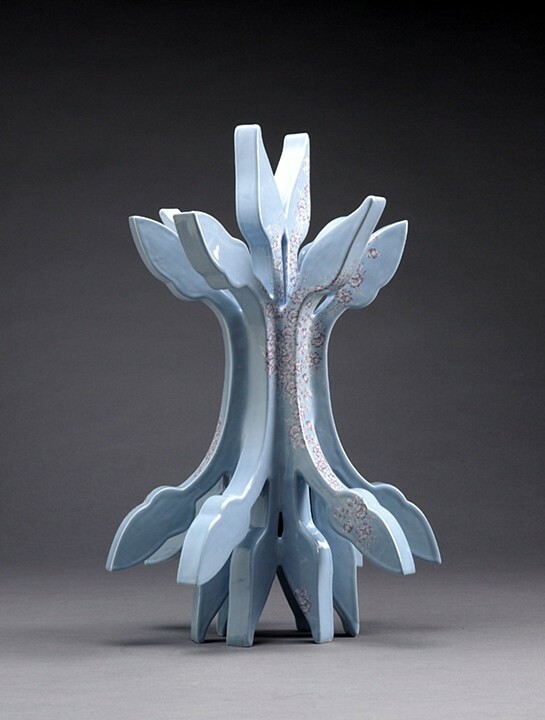 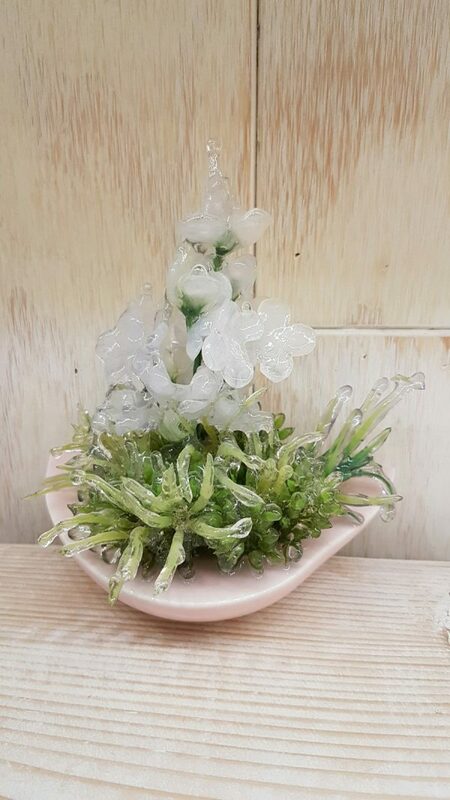 The light blue resin reflects the image of the porcelain bouquet. 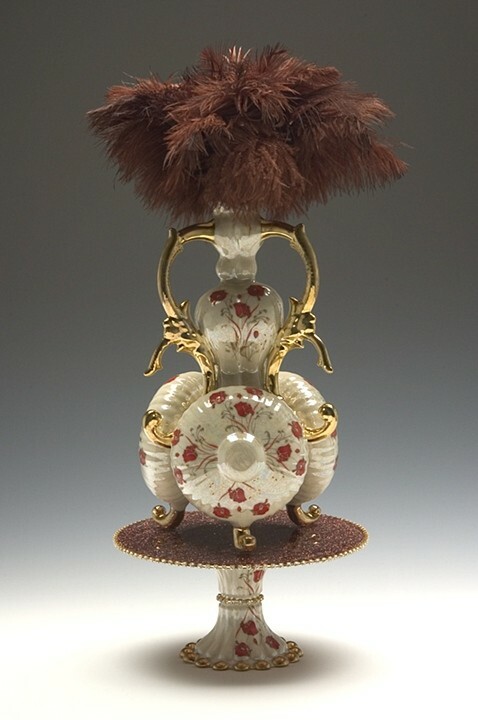 Measures 21”x13”x9”.